Wise Disk Cleaner is a free Disk Cleaner and Defragmenter that cleans junks of browsers, remove junk and useless file of Windows and defragments your disk. Also it cleans temporary files, history, cookies and autocomplete form history of Internet Explorer, Chrome, Firefox and Safari browsers. And it removes of Windows junk files, such as Recycle Bin, Recent Documents, Temporary files and Log files. This freeware tool cleans a lot more files than most similar products and includes a "slim down" mode that gets rid of a lot of extraneous objects including wallpapers and other Windows files you may never use. A disk defrag feature is also included for free. 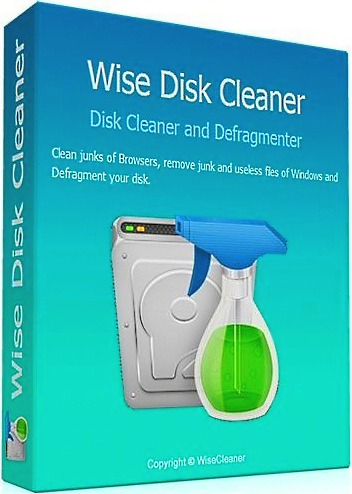 Clean your disk with Wise Disk Cleaner and your computer will run faster.